supply of containers, receptacles, transportation and incineration. 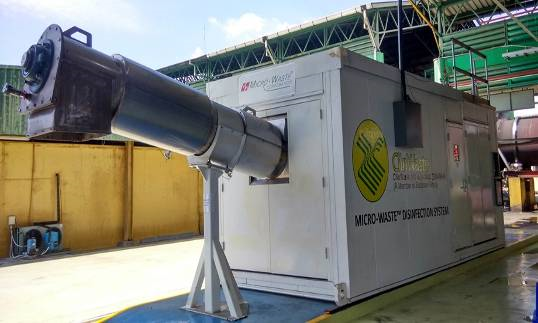 Clinwaste (M) Sdn Bhd is one of the five business segments of RADICARE GROUP. Clinwaste is Malaysia's leading service provider for the management of healthcare waste; with extensive experience and expertise in servicing the public and private healthcare sectors. We are committed to provide a comprehensive approach to healthcare waste management solution covering collection on site, supply of containers, receptacles, transportation and incineration, in compliance with stringent Department of Environment regulations. Whether it is just managing your healthcare waste, or providing consultation and training to your organisation on proper healthcare waste practice, Clinwaste knows your needs for safe, legally-compliant, timely and cost-effective solution. Official Visit from Sedafiat Sdn Bhd Clinwaste offers the most innovative technology in medical waste disposal.